Those who know me well know that I can’t resist a political discussion. That’s why I’ve been spending more of my time at The Weekend Pundit lately. I invite you to join me there and join in the debate. We are in for an exciting ride the next forty days — this race is too clase to call. It would please me greatly to report that the last few months have been invested in a deep spiritual quest that culminated in great gains of wisdom, vision, and discipline that I am now prepared to impart to you. That would certainly sound more noble than sitting in front of the TV eating Doritos and watching old episodes of Criminal Minds, pondering ideas that would make great blog posts if only I had a little more motivation to write them. One of the bad things about taking a sabbatical from blogging is that you feel compelled to offer something really profound when you return, as if a brief moment of premeditated profundity somehow justifies a lingering absence from the blogosphere. Well, it ain’t gonna happen. In the absence of anything profound, I decided to just write a post that incorporates the word “profundity” a few times – it certainly sounds intelligent and it lends an air of gentle sophistication that could easily be mistaken for… profundity. It’s a brilliant and sensible technique, given that its effectiveness has been proved by none other than a presidential candidate. I was previously too focused on readership and stats, trying diligently to tailor my posts around a loosely-crafted theme, and avoiding topics that departed from that theme. I say “loosely-crafted” because I’m not sure I could ever clearly define that theme. And rather than writing from the heart, I began looking for topics that fit a brand I was trying to develop for myself. The passion eventually evaporated. So going forward, I’m going to try to just write more from the heart and be less concerned with the frequency, the theme, or even… (ahem) the profundity of posts. 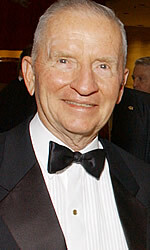 Ross Perot is 78 years old today. 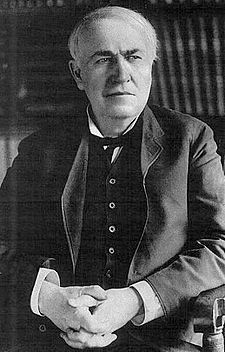 He is a successful businessman (founder of both Electronic Data Systems and Perot Systems), one of the wealthiest people in America, and a former presidential candidate (1992 and 1996). 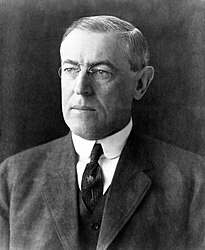 Woodrow Wilson (no relation) was born 151 years ago today. If you lose your wealth, you have lost nothing. If you lose your health, you have lost something. But if you lose your character, you have lost everything. Keep looking, and you will find… Everyone who seeks, finds. Somehow I can’t believe that there are any heights that can’t be scaled by a man who knows the secrets of making dreams come true. This special secret, it seems to me, can be summarized in four C s. They are curiosity, confidence, courage, and constancy. What are your dreams today? Do they seem impossible? 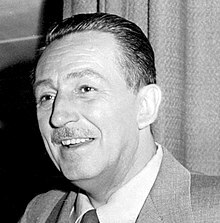 I hope Walt Disney has offered a bit of inspiration to you to turn those dreams into reality. While visiting relatives in our hometown of Tulsa last week, I found myself on kitchen duty with my brother-in-law one afternoon. Cleaning the kitchen during the holidays is somewhat like trying to hit a moving target, because the activity never really ends — it just reaches a lull between two peaks. And then we thought… Wouldn’t it be nice if we could just select a “Normal” button for our family or work, and then everything and everyone around us would function in some pre-ordained and predictable fashion? Unfortunately, a lot of organizations are trying to press the “Normal” button. While companies often say they want innovative and risk-taking employees, they usually try to assimilate new employees as quickly as possible into a strict company culture. (i.e. “Normal.”) Ultimately, they value predictability and compliance. When an employee doesn’t fit the mold, they may get poor reviews and be passed over for promotions, leaving management to wonder how they ended up with such an ill-suited employee. The employee is probably a wonderful and skilled person, but just doesn’t fit the organization’s definition of “Normal.” The sooner that both employee and employer recognize this, the better off both will be. Do we really talk about this kind of stuff after cleaning the kitchen? Yep. But I’ve already told you… we’re not Normal. While most of my posts live a short life and retire quietly to the archives, this post from last spring about networking tips for introverts continues to get several hits hits every week, and has been referenced on other blogs. Since there seems to be a lot of interest in this topic, I continue to watch for articles and information that may add to the discussion. This afternoon I was reviewing the blogs and websites of some of the people who have visited my blog and came across this interesting post on Ron Bland’s blog about how to start a conversation (written by Peter Murphy). Probably the biggest networking challenge for introverts is just trying to get the conversation started, so I thought this article could offer some valuable tips for my readers. To these tips, I would offer one additional suggestion: Ask open-ended questions. When you ask open-ended questions, you automatically get the other person talking. Most people enjoy answering thoughtful questions about themselves or topics they are interested in, and they tend to like people who listen to them talk. The other person will often (but not always) turn the table and ask you questions, giving you an opportunity to tell your story. It’s always easier to talk about yourself in response to a question. When you ask open-ended questions, you also have a chance to listen well (Point #5 from Mr. Bland’s blog post). As you are listening, be alert for ways that you can help the person. You might be able to introduce them to someone who can help them. Or tell them about a related book or article or web site that may interest them. Remember that effective networking is more about giving than receiving.